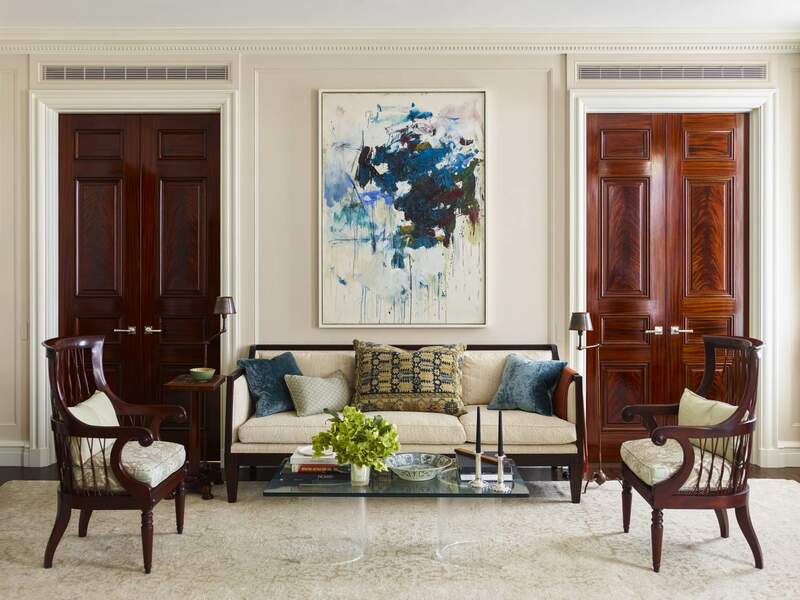 This 4,000 square foot pre-war apartment, located on Fifth Avenue in Manhattan, is undergoing a complete gut renovation. Our clients, a couple with grown children, hired us to introduce more openness and flow through the rooms in the apartment, making the space more livable for their relaxed, modern lifestyle. The moldings and architectural detail throughout the apartment, including a new cerused oak library with red lacquer ceiling, are inspired by 18th Century French Neoclassical style. Hilary Heminway designed the apartment’s interiors and Donald Kaufman and Taffy Dahl consulted on its color palette.